Drs. 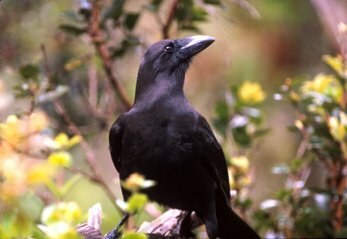 Jolene Sutton, Martin Helmkampf, and Renee Bellinger of the Conservation Genomics Research Group, along with collaborators from the Hawaii Endangered Bird Conservation Program, San Diego Zoo Global, and PacBio publish in Genes. 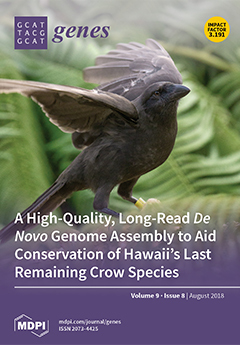 The article, “A high-quality, long-read de novogenome assembly to aid conservation of Hawaii’s last remaining crow species” describes the high-quality reference genome that was generated to assist recovery efforts for the ‘Alalā, one of the world’s most endangered bird species. The quality of this assembly places it amongst the very best avian genomes assembled to date, comparable to intensively studied model systems. Researchers and conservationists are currently using this resource to better understand genetic diversity in the ‘Alalā, and to develop tools that will help inform strategic pairings as part of the conservation-breeding program. This genome assembly is now publicly available. This paper is the “Feature Article” of the August 2018 issue of Genes, and belongs to the special issue, “Conservation Genetics and Genomics” and is also published in PACBIO, titled “Dying Breeds: How Scientists Can Save Species Through Genetics“.